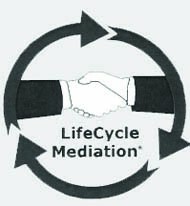 Divorce Mediation offers the advantage of gentle way to solve the complexity of a divorce. The cost of the mediation is much less than a confrontation with lawyers and high court expenses. You give the input and opportunity to explain how you both want your lives to transition. I bill out on an hourly basis to keep your expenses low. The average divorce in a non-mediated setting cost between $40,000 - $70,000. A mediated divorce will cost between $1,000 - $2,500. My personal and professional experience will help make the process much easier. As a Realtor Emeritus with 50 years of Real Estate Mediation and sales, I can help determine property values. Guardian ad Litem working with children to advocate for their interest. Let me help! !This should not be a traumatic process. It is time to move forward.